AIMIM won 2 seats while leading in 4 others in Hyderabad as per the latest trends in Telangana counting. The AIMIM won two seats while leading in four others in Hyderabad today as per the latest trends in the counting of votes for the Telangana assembly elections. Mohammed Moazam Khan was declared elected from Bahadurpura constituency in Hyderabad by 82,518 votes against TRS candidate, while four other party candidates were also leading. Mr Khan, who made a hatrick, secured 96,993 votes while Inayath Ali Baqri of TRS managed to get 14,475 votes. 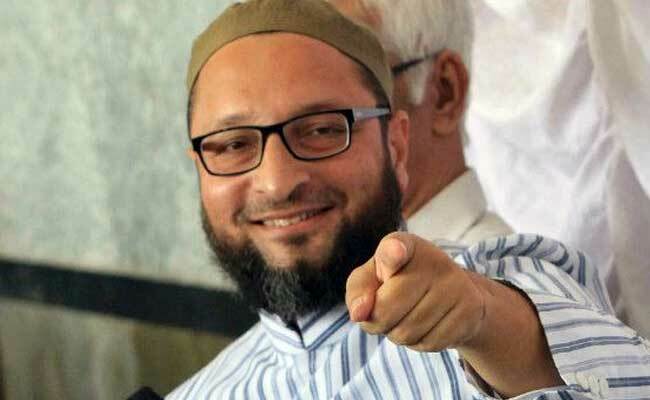 AIMIM candidates were leading against their nearest rivals in four segments including Malakpet, Charminar, Yakutpura. However, the party nominees were trailing in Karwan and Rajendranagar constituencies in Hyderabad. BJP candidate Amar Singh was leading in Karwan Assembly segment over MIM's Kausar Mohiuddin by over 6,000 votes after the ninth round. In the 2014 election, AIMIM bagged seven seats - Malakpet, Nampally, Karwan, Charminar, Chandrayangutta, Yakutpura, and Bahadurpura. In addition to these seven segments, AIMIM contested from Rajendranagar in the December 7 poll.